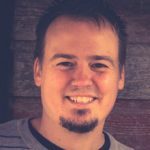 Andy Abramson identifies some dangerous questions you must ask if you want to pursue more effective college ministry. Has there ever been a time in your life when it’s been difficult to find your bearings? When life is swirling and you find it difficult to orient yourself? This is where I’m at right now. Three weeks ago, our family moved from Minnesota to Texas. It was a massive change for our family to say the least. This past week my kids jumped into new schools, new teachers, new friends and a new church. I want to be able to say it’s been an easy transition, but I can’t. It’s actually been pretty grueling. Why would I put myself and my family through this? It actually started almost three years ago for our family. There was a process of discovery when we began to ask fundamental questions that put us on this path. Let’s be honest. It’s hard to put ourselves in situations that are difficult! It’s a whole lot easier to continue with the status quo and remain on the same course we have always been on. For many of us though, things need to be changed in our lives. For many of the ministries we are leading, stepping back and making the decision to re-chart our course might be the most important decision that we could make this year regardless of the difficulties that it will produce. Over the last seven years, the Verge team has worked with churches and campus ministries to pursue movement within the lives of students and young adults. I’ve grown concerned with the number of people who are frustrated with their lack of effectiveness who are yet unwilling to do anything to change it. For those who want more in their lives and ministries, let’s look at three critical questions. Question #1 – What is true? It’s amazing to me how often we can skip this question! Seeking what is true about our situation is critical. What is true about our city? What is true about college students? What is true about our campus? What is true about our church? What is true about our ministry? It astounds me how many decisions we make without stepping back and finding out what is true. When we don’t seek what is true, I often find two common occurrences. One, we can default to a plug and play mentality of ministry. We look at what the church down the road is doing. We look at what the prominent leader of our time is doing. We grab onto the last idea we heard from the conference we just attended, and simply replicate what we see. Secondly, we can default into doing what we have always done. We never step back and ask if our ministry and leadership is producing fruit. We can all think of people in our lives who chose to do the same things over and over again out of comfort and convenience. Not only do people do this, but ministries are susceptible to the trap as well. Are you simply doing things over and over again because that’s the way they have been done? On the flip side, the temptation can be just to become frustrated with a lack of fruit and simply chart a course without doing the hard work to understand what needs to happen. In our frustration, we can simply make decisions without ever trying to evaluate what is true about our city, campus, church or ministry. There are unique truths about your context and culture that need to be mined before we ever begin to chart a course. Many of us need to take a few hours away with our teams and leaders to step back and ask the question: What is true about us and our context? Question #2 – What is God calling us to? After we have gathered data about what is true, the next essential question is, “What is God calling us to do?” A few weeks ago I was in Denver with a group of leaders for a training on our personal life calling. The presenter talked about the difference between our general calling and our unique calling. He explained our general calling as big principles in the Bible we are all called to live out. We are all called to love people. We are all called to love God with all our heart, soul, mind and strength. We are all called to make disciples. But each of us as well, have a unique calling. What is the unique way God has gifted and equipped us? What is our unique set of experiences and passions that shape us? You see we have a unique calling that needs to be paired with our general calling. When we discover what this is, we can find our sweet spot in ministry. I think we can carry this principle to ministry as well. We know that as a group, we have a general calling. There are overarching principles that apply to all ministry. I also think our ministries can have a unique calling. Something that is unique to your group, in your context. For some, we have a unique calling to international students, commuter students on a community college, or multiple universities. For others, we have small or rural communities that God has called us to engage. After gathering the data of what is true, we need to ask God what He is calling us to? Question #3 – How will we get there? Even as I write these words, my heart longs for you to be in the “sweet spot” of ministry. For you to have such fulfillment in your ministry that you get up each day passionate about the opportunities that are before you. I want to see leaders unleashed on their college campuses and in their cities. I want to see the Kingdom of God expanded in radical ways in the next decade. I often think about what could happen if we would drill down on these questions, and by doing so we may see the fruit in our lives and ministries exponentially increase. Let’s do it!